The Rhode Island Economic Development Corporation is one step closer to bringing legal action against Curt Schilling and other former executives at 38 Studios. 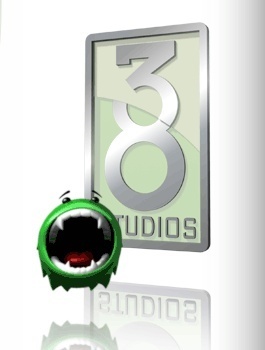 The Rhode Island Economic Development Corporation filed a lawsuit against former 38 Studios and EDC executives last November, alleging that the dramatic collapse of the Kingdoms of Amalur developer, which left Rhode Island on the hook for more than $100 million, occurred because of failure to disclose the true risks of bringing the studio to the state. Today that lawsuit moved one step closer to the inside of a courtroom, following Rhode Island Judge Michael Silverstein's ruling that the suit may proceed. Silverstein dismissed some of the counts against some of the defendants and ruled that the EDC cannot seek $75 million in damages because it didn't actually lose $75 million in the transaction. The EDC may, however, "recover for (1) its liability for the General Assembly's appropriation of funds; (2) injury to its reputation and credit; and (3) the fees and salaries paid to the Defendants." The lawsuit did not seek a specific dollar amount when it was filed. "We are very pleased with the decision," EDC lawyer Max Wistow said. "The judge is saying the EDC does have standing to collect that [money]. It enables us to go forward and to process to what we feel will be a favorable conclusion for the state." The next hearing is scheduled for September 13.